High conflict divorce. Divorce strategy. Divorce recovery. Coaching through PTSD. Public speaking. Education. Private events. Arianna Jeret is a Mediator and CDC Certified Divorce Coach focused on lessening the trauma of divorce through strategic identification and prioritization of emotional and financial needs. She is passionate about sharing lessons learned from divorce to help others build more fulfilling lives grounded in strength and optimism. For more information or to contact her, visit www.ariannajeret.com and tune into her podcast, The Greater Dater at www.thegreaterdater.com. 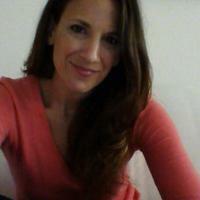 Arianna is an active writer and speaker on topics related to divorce and relationships. Her work has been featured on the Huffington Post, YahooStyle, XoJane, Thought Catalog, PopSugar and Fox News Radio. Her most recent articles can be found at www.goodmenproject.com/author/arianna-jeret and www.yourtango.com/experts/ariannajeret.